In the section “Meet the artist” we portrait a talented artist who uses Old Holland colours. 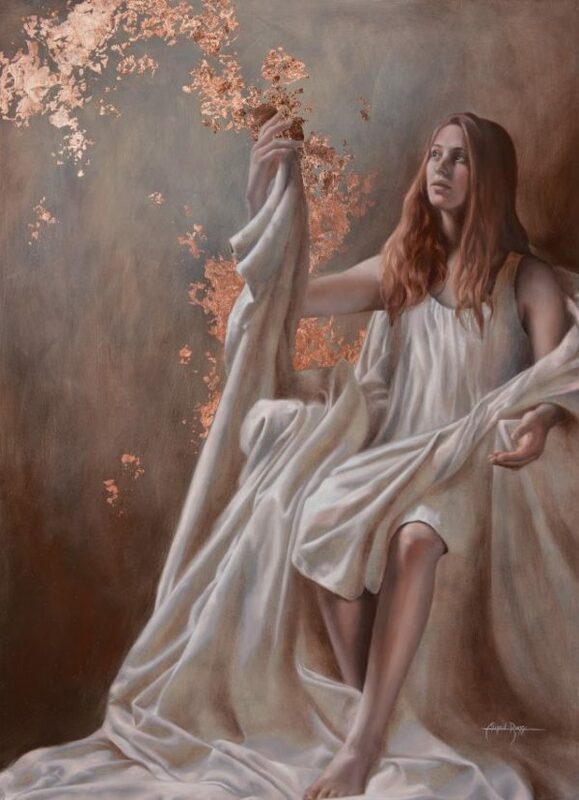 Abbie Rugg is a young contemporary realist painter. She was born in New Jersey and is 19 years old. 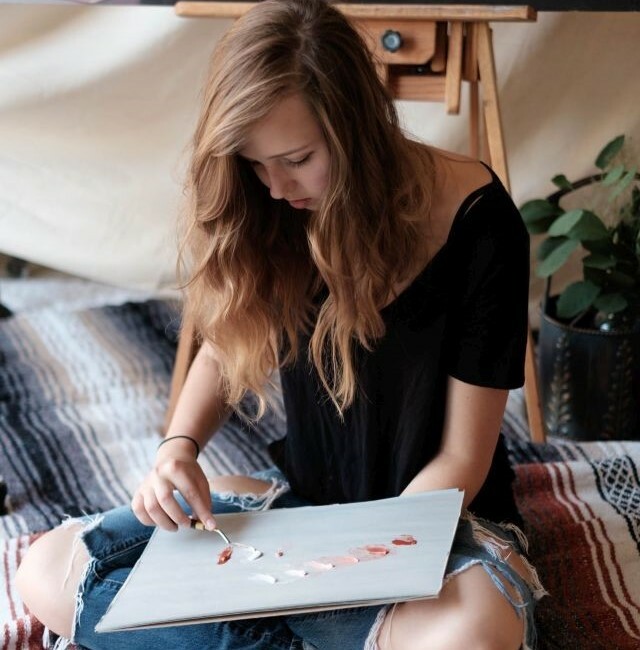 Abbie is currently building a career as a fine artist by sharing her artwork throughout her hometown in New Jersey. 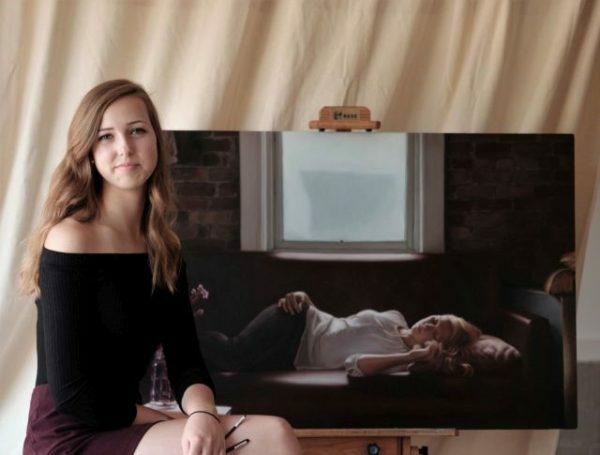 She is a student at The Art Academy in New Jersey and the Maryland Institute college of Art. 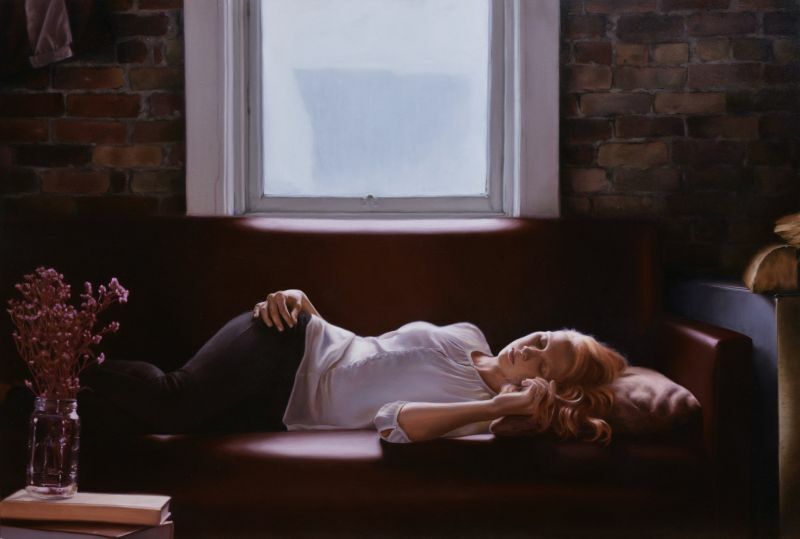 Her classical style and figurative work thematically speaks to the inner emotions and experiences encompassed in everyday modern life. Through paintings, sculptures, and installations, Abbie seeks to represent the underappreciated, beautiful moments our world has to offer. When did you first start painting? Were you born with a paint palette in hand, or did your interest in art develop over time? 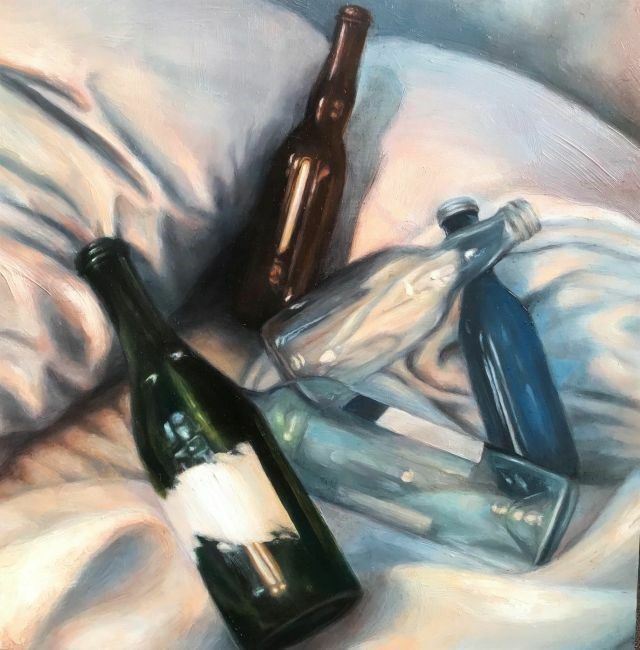 I was always interested in painting as a kid, but was too scared to fully start developing my skill, especially with oil paint which holds such an intimidating reputation. I first started painting in high school but waited until sophomore year when I began studying at The Art Academy of Hillsborough to get serious about learning to unfold my technical ability. That is when I fell completely over heels in over for painting. Was there a moment when you decided to follow your path as an artist? I knew that I wanted to be an artist for the rest of my life once I was able to comprehend why I would get so distracted by light in my daily life. Then when I was able to capture my fascination for light and the beauty it holds, I knew I wanted to show others through my work. Do you have a personal favorite piece? Can you think of a piece that was particularly fun to work on? My favorite piece was “Copper Light”. It was a lot of fun to experiment with with copper leaf for the first time! Please tell us about your training at The Art Academy in New Jersey? Before I began studying at The Art Academy of Hillsborough, I struggled to control my quality. The Art Academy showed me how to produce the quality of work I had always admired in other artist’s work and improved my skill rapidly, giving me the skill I needed to express the ideas and compositions that I wanted to explore no matter what the subject was. This is because the Academy teaches how to see rather than how to paint any specific thing. I would describe my art style as contemporary realist fine art. Where do you derive your inspiration from? Do you have a painting, which inspires you? My inspiration mostly derives from my love of capturing the individuality of light and the fascination I have for the way that light shapes our world. One painting that is always inspiring me is “The Blinds” by Odd Nerdrum. What is your favorite art gallery / museum and why? The National Gallery in Washington D.C because it has an amazing collection of Rembrandt paintings! I also love their contemporary wing and the diverse mediums and techniques throughout it where I can find a lot inspiration. What was the last exhibition you went to? The last exhibition I went to was “The New Baroque,” at The Booth Gallery in Manhattan, NY. How do you see your future as an artist? I see my future as something that’s full of a lot of different possibilities and opportunities as the appreciation and demand for artists grow in our society again. I don’t know what specific career path I’ll go down, but I know that I’ll never stop making art that I feel so strongly about.